T-Mobile has set the iPhone free. 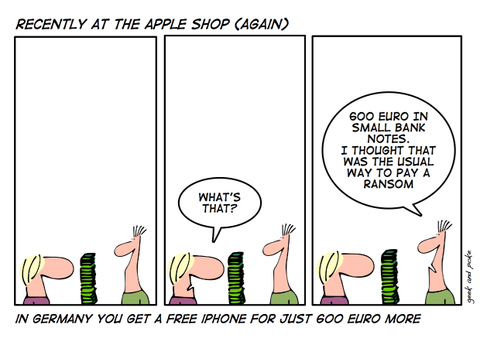 You just have to pay them 600 Euro more (999 instead of 399). See Yahoo NEWS (seen through Techmeme) or Epicenter.